A recent article from asmag.com noted that there are currently 6.4 billion connected things in use worldwide. That number is up 30 percent from 2015 and is expected to grow to 20.8 billion by 2020. The outlet spoke with Pat Scheckel, VP of Business Development at Singlewire to discuss the impact this increasing connectivity has on emergency notifications. The following story was originally published on April 1, 2016, by asmag.com. 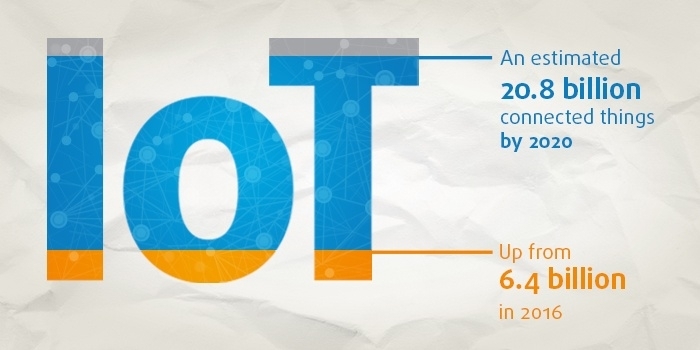 The Internet of Things (IoT) is gaining importance, as Gartner forecasts that 6.4 billion connected things will be in use worldwide in 2016, up 30 percent from 2015, and will reach 20.8 billion by 2020. When the IoT concept is applied to emergency notification systems, it performs wonders for end users who can receive emergency signals from various devices/sensors and then alert all relevant people to the event immediately. One company that leverages the advantages of IoT is Singlewire Software, provider of InformaCast, an IP-based emergency notification solution that connects with a wide range of endpoint devices, including mobile phones, landlines, computer desktops, overhead paging systems (analog and IP), Cisco IP phones, digital signage, Twitter, and other instant messaging platforms. “There are many systems and sensors out there that are good at recognizing that something has changed in the environment. Most of these systems are not very good at notification delivery, message confirmation, escalation, and reporting. That’s where we come in,” said Pat Scheckel, VP of Business Development at Singlewire, of the hybrid-cloud solution. “Our cloud-based service sends SMS text messages and push notifications to mobile devices, places phone calls, and sends e-mails. The on-premises component, a virtual appliance software, sends to computer desktops, overhead paging systems, Cisco IP phones, and digital signage. The components function as one system to give the customer complete control over their notifications,” he said. According to him, these features enable Singlewire to deliver the two most important elements in any emergency notification system: speed and reach. “We achieve speed by very fast sending methods, like hitting a panic button whether that’s on a phone or a dedicated panic button. Reach is important because you want to reach as close to 100 percent of your desired population,” Scheckel said.